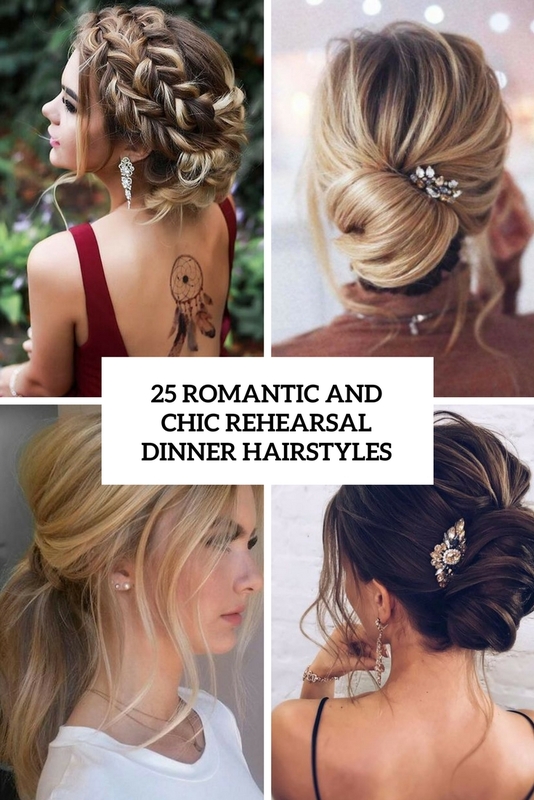 Getting ready for a rehearsal dinner? 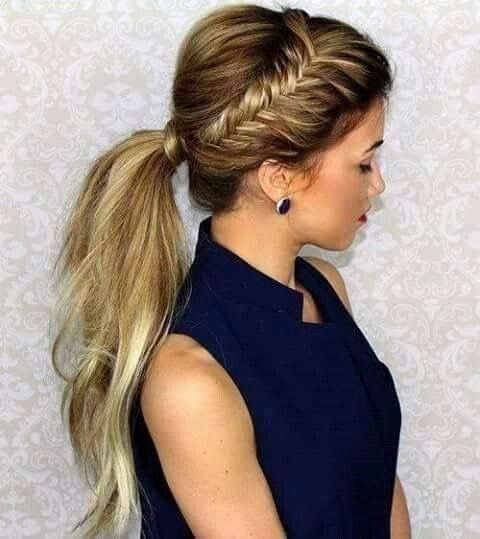 Then our roundup about the coolest and trendiest outfits will help you, and today’s roundup will help you too but this time to choose a proper hairstyle, which will add to your style and highlight your beauty. 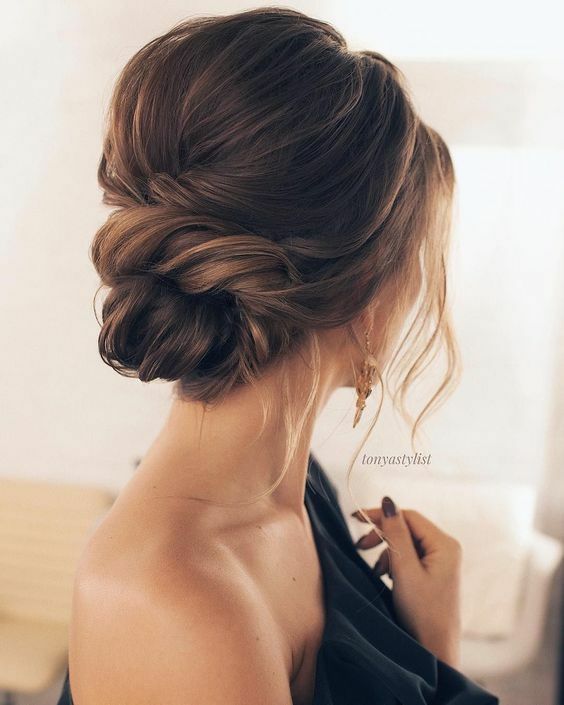 There are lots of ideas to go for, we just advise not to go too formal, unless your rehearsal dinner is a very formal one. 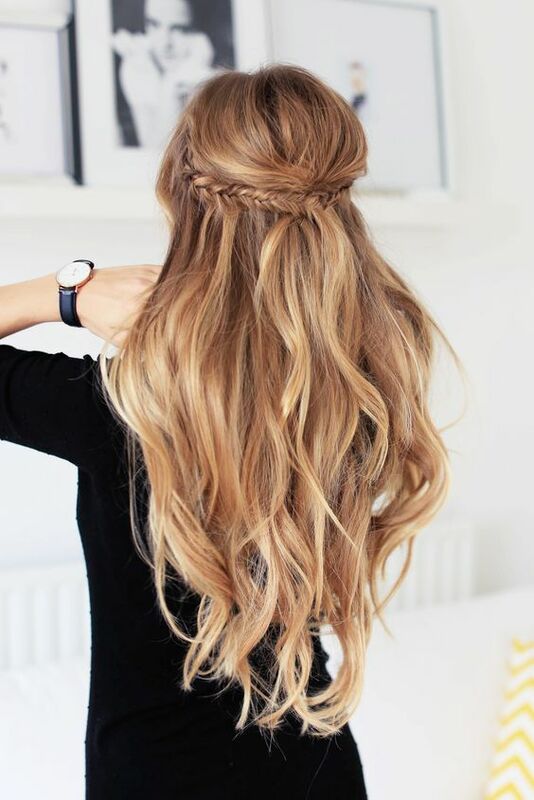 Let’s see what options you can try for long and medium-length hair. 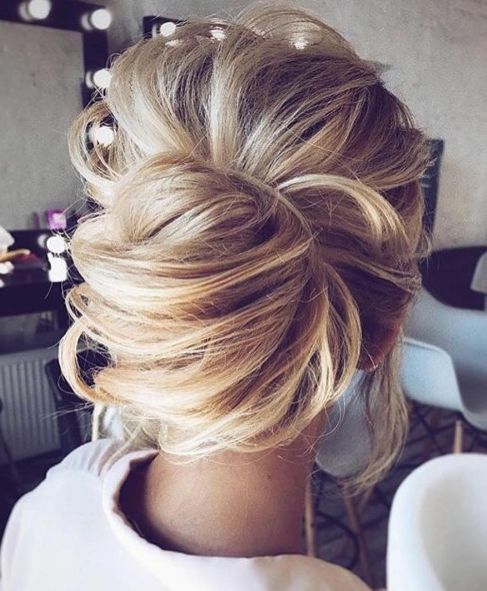 A stylish updo is a timeless solution that fits most of events and outfits. 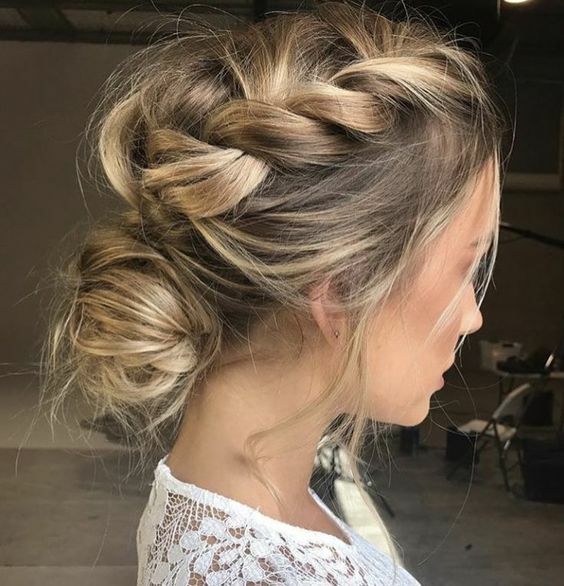 Go for a braided halo or crown, and you are sure to make a trendy statement with it, plus it will many styles from boho to casual. 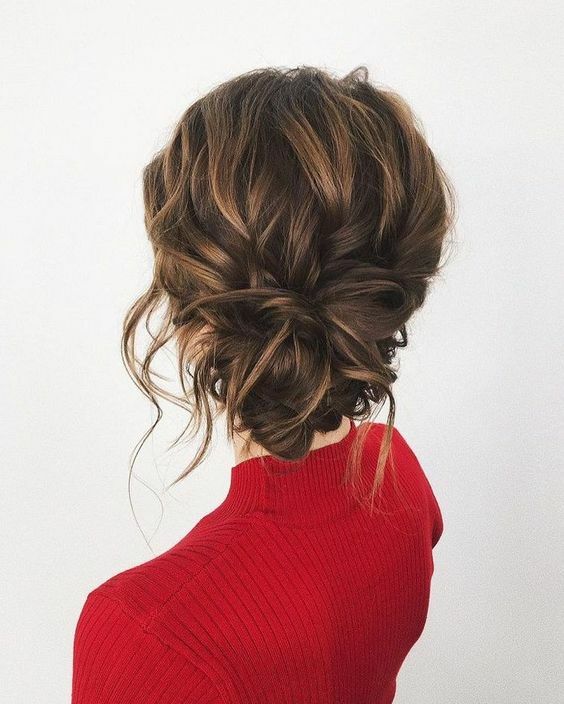 Try an elegant low bun or low chignon hairstyle and don’t make it too sleek and neat – such hairstyles aren’t in trend, prefer something messy, textural, dimensional and with a bump or volume on top. 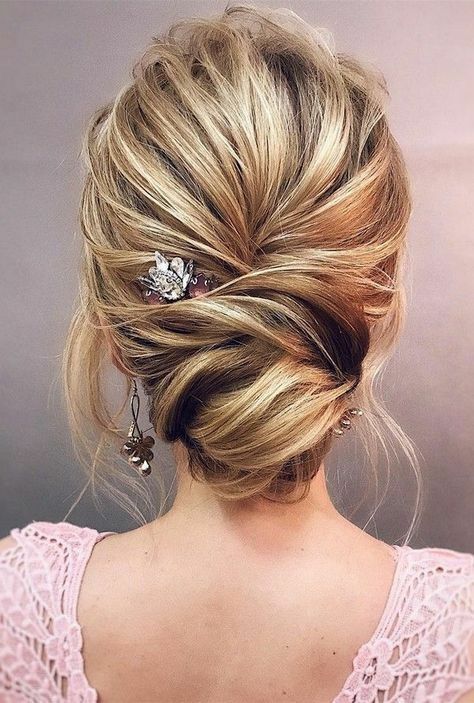 There are also many twisted wavy updos with some locks down for romantic brides-to-be and to accent your hairstyle you may add a rhinestone hairpin or a hairpiece. 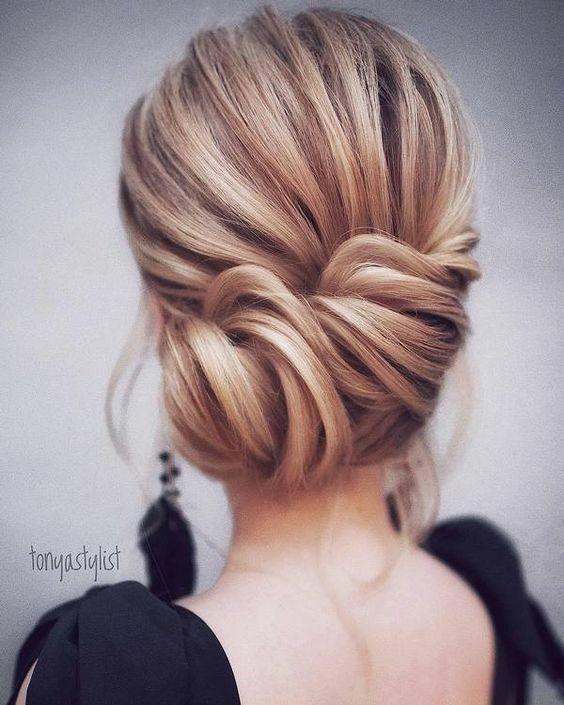 A half updo is a more relaxed option, which is also comfy in wearing and chic. 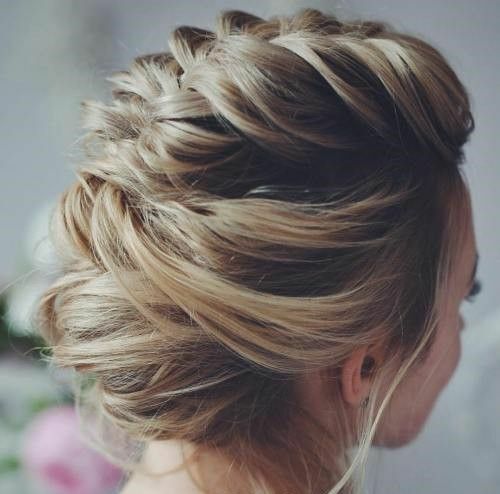 Make a braided halo or just a bun and let your waves or curls go down for a beautiful girlish look. 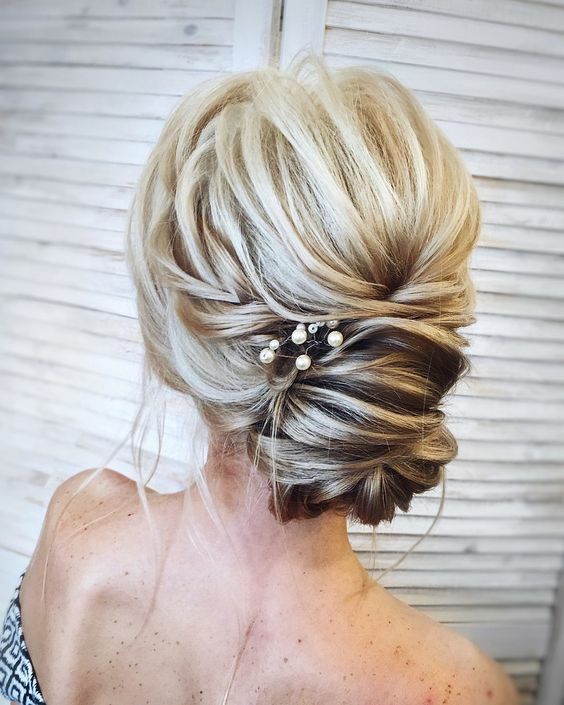 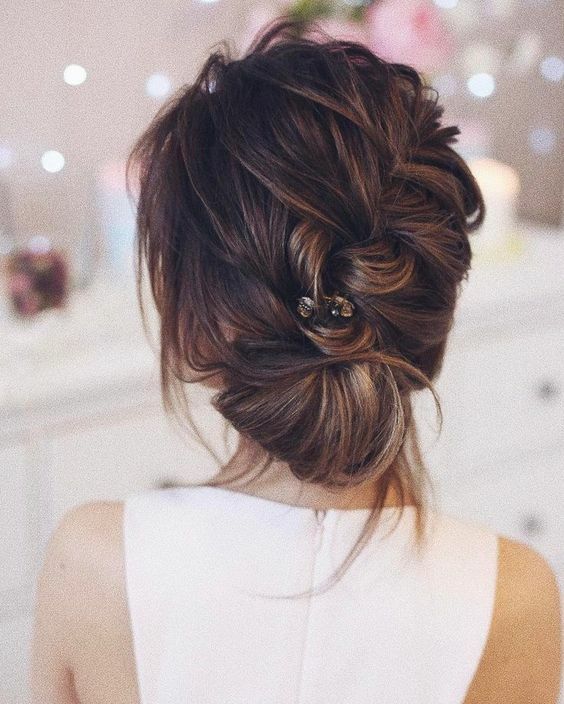 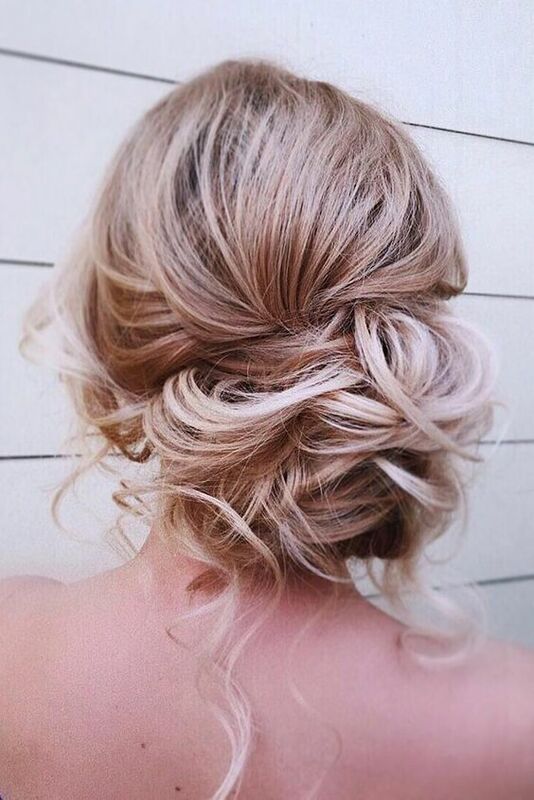 Half updos also fit many outfits and styles, just find a proper one! 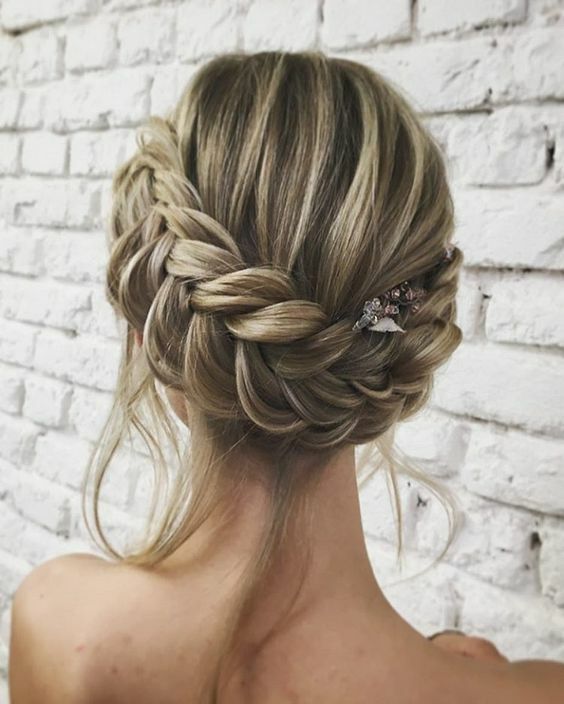 Braids are still one of the hottest trends among hairstyles and rocking one can’t do any bad, whether it’s a French, Dutch or fishtail or any other braid. 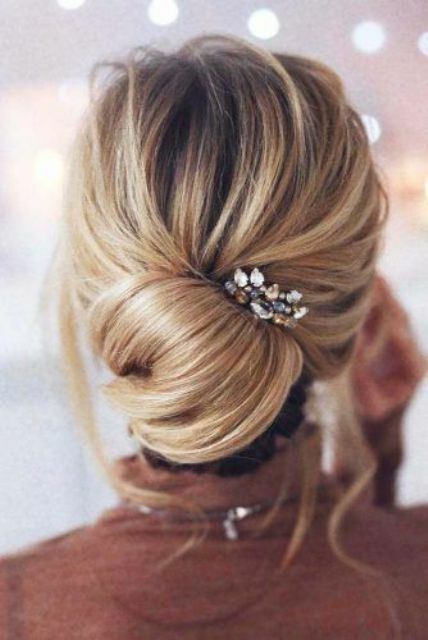 A ponytail is a great idea for a rehearsal dinner as it can be made fast and never goes out of style. 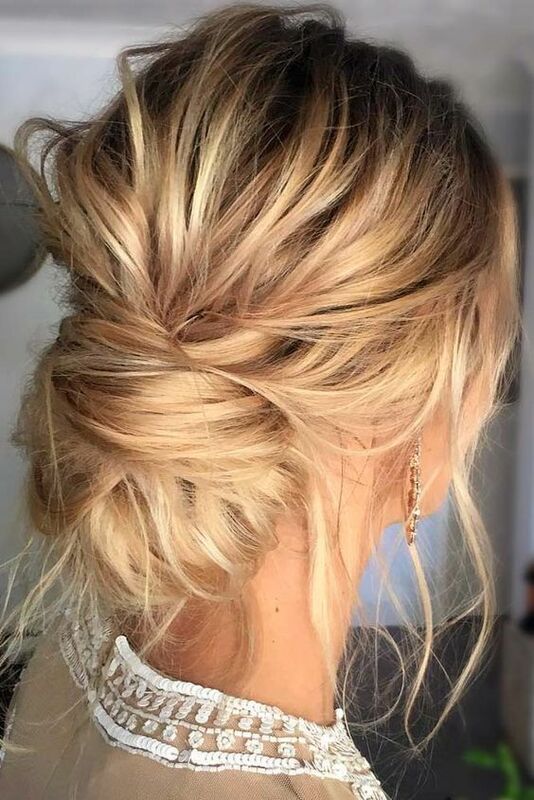 Go for a trendy messy high ponytail with a bump on top or prefer a gorgeous braid into ponytail hairstyle with waves or textural locks. 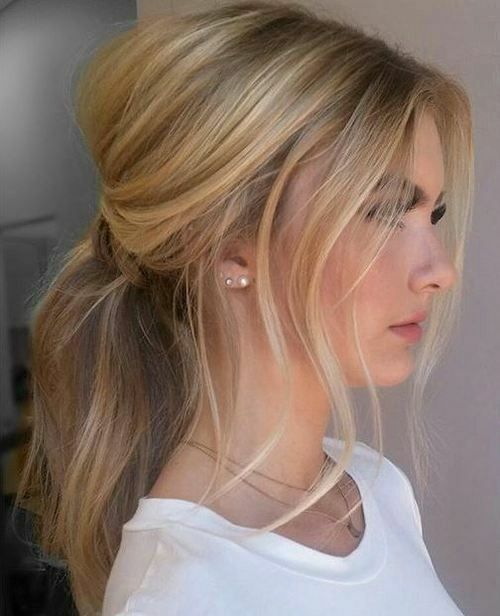 A low curly ponytail is also a great idea that can be DIYed fast – a nice way to style your hair last minute.